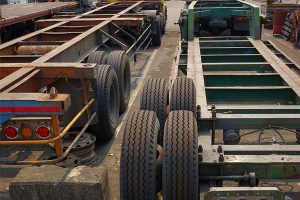 Semi-trailer safety is crucial for any trip, and safety starts with semi-trailer repair in Mesa, AZ. At Straight Line Suspension we’re your trusted local source for semi-trailer repairs and accessories. Our facility is designed to get you repaired and moving. With a team of certified technicians, our facility can handle semi-trailers of any size. We’re known for our efficiency and workmanship. That’s because our experience allows us to quickly diagnose the problem and begin repairs. With state of the art diagnostic equipment and the kind of trained technicians that pair technology with encyclopedic semi-trailer knowledge, we get the job done. Getting repairs during a problem’s infancy can be more cost-effective and keep you from experiencing any safety problems. If you’ve encountered any of the following while pulling your semi-trailer, schedule a diagnosis at your earliest convenience. Truck pulls noticeably to one side. Trailer tires are wearing unevenly. Semi-trailer frame isn’t aligned correctly. Semi-trailer axle isn’t aligned correctly. Semi-trailer stop, turn, or tail lights not functioning. Contact us for Semi-Trailer Repair Today! As a parts supplier, we’ve got the highest grade replacement parts on hand. Our shop can also fabricate u-bolts on-site. When you need to know your semi-trailer is roadworthy and ready for the long haul, we’ve got you covered. Whether drivability has been compromised, you’ve caught a problem early, or you just want to make sure you don’t have any, we provide the semi-trailer diagnostics and repair you’re looking for. 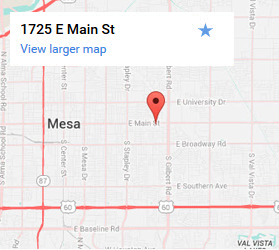 Call (480) 422-8511 or contact us for the semi-trailer repair Mesa, AZ drivers trust.